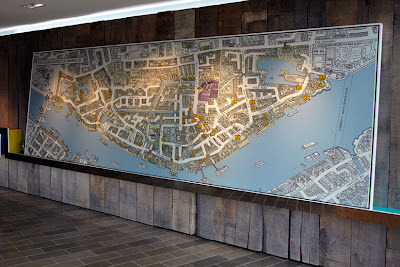 Yesterday I received some images from the folks at Mark Smith Design of the final map I created for the 21 Wapping Lane building. 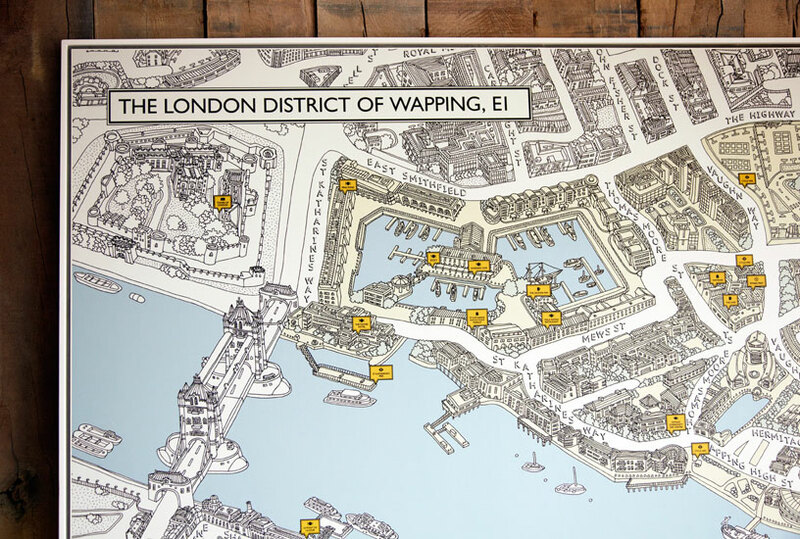 I was asked to illustrate a detailed map of the Wapping area, starting from the Tower Of London and finishing at King Edward memorial Park. It took a loooong time to complete but I'm really happy with the way it came out. Can't wait to see it with my own eyeballs! 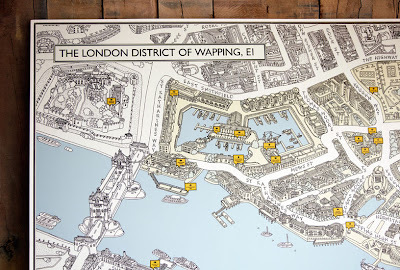 As a local of Wapping I really liked this map when it was in the supplement in the ST- is it available as a print (and without 21 Wapping Lane labelled)? I have a hyperlocal blog 'pootling around' and I'd like to write a bit about the creative process if you have time to spare?